Ecotech Pty Ltd has expanded its services for meteorological monitoring equipment after receiving NATA accreditation for ambient temperature and humidity calibration. This accreditation makes Ecotech the first company in Australia with the capability to combine ambient temperature, humidity and wind parameters into one calibration service. 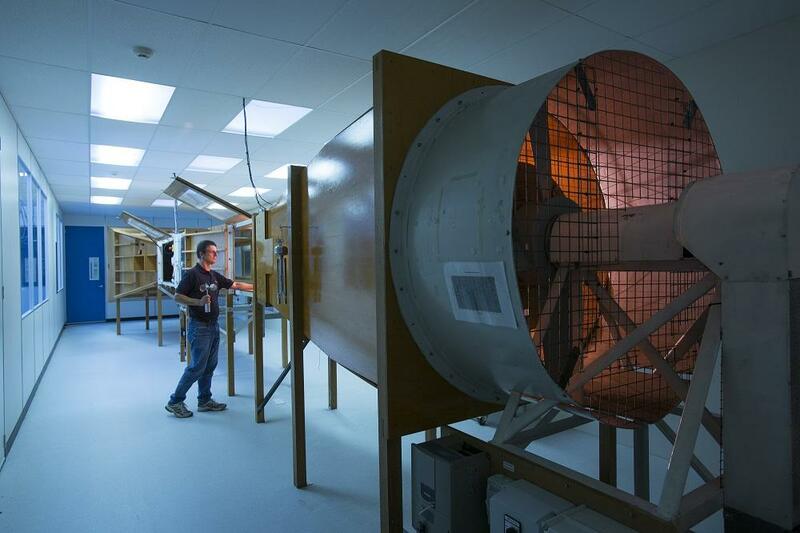 Ecotech is the only NATA/ISO 17025 accredited laboratory in Australia able to calibrate all types of anemometers thanks to our CSIRO-designed wind tunnel, located in our Melbourne head office. The latest calibration services from Ecotech, Australia’s environmental monitoring experts, has now received NATA accreditation after rigorous independent assessment. This assessment assured the technical competence and production of reliable results for the calibration of ambient temperature with least uncertainties of measurement of 0.2 °C from 0 °C to 40 °C, and relative humidity with least uncertainties of measurement of 2.1% RH from 20% RH to 90% RH. This new accreditation is in addition to Ecotech’s existing meteorological NATA accreditation for wind speed, wind direction and solar radiation sensor (pyranometer) calibration services. Ecotech’s Calibration & Services Manager, Horacio Viana, is excited the service is meeting client needs after Ecotech recently completed its first calibration service for a NSW government body. The service included combined calibration of ambient temperature, humidity, wind speed and wind direction. Horacio believes clients will be impressed by the combined services’ ability to reduce overall time spent waiting for serviced equipment to be returned, which in turn reduces lost measurement data capture and potentially lost income for Ecotech customers. 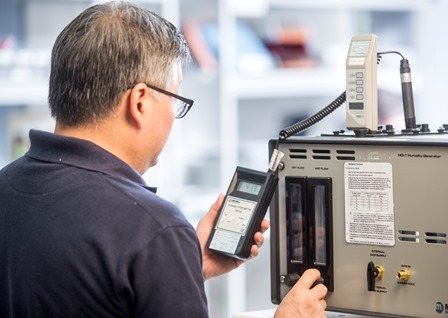 “The customer can now send their instruments to Ecotech and we can take care of all their calibration needs in one go, saving customers’ time and money. It also means they’re not wasting their asset and letting valuable work slip by while customers wait for their equipment to be returned.” Horacio said. Horacio says of the recently introduced new calibration services, that the first client was “very happy” with the results. For your calibration service enquiries, contact Horacio on 1300 166 497 or calibrations@ecotech.com. Ecotech performing a calibration service at Melbourne head office. Ecotech is the first company in Australia with the capability to combine temperature, humidity and wind parameters into one calibration service. Our world-class manufacturing facilities are certified to ISO 9001 Quality Management standard. Ecotech is NATA accredited for compliance with ISO/IEC 17025 for a range of testing services including continuous monitoring of ambient air, meteorological monitoring, blast monitoring, as well as industrial emissions (CEMS) monitoring and water quality. Ecotech also holds NATA accreditation for the calibration of wind parameters, solar radiation, ambient temperature and humidity sensors and ozone analysers.